The fight against infectious diseases also depends on scientific advances being disseminated across the globe. Les Pensières Center for Global Health is our hub for fulfilling this mission. Throughout the year, we organize or contribute to a number of headline scientific events, in particular international conferences on global public health and the fight against infectious diseases. In parallel, we also support a variety of training courses in France and around the world that are designed to boost the capabilities of developing countries. Varied in scale, these courses are designed to cater to the public health priorities of different regions. These conferences and courses are central to the Mérieux Foundation’s mission to strengthen capacities in developing countries. 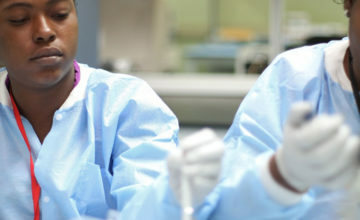 Les Pensières Center for Global Health is our hub for knowledge-sharing and exchange. 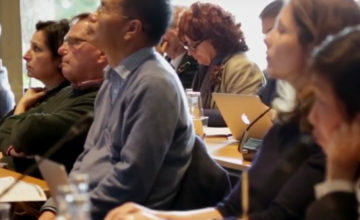 Decision-makers and scientists from around the world convene at this unique setting for work and discussion on the banks of Lake Annecy.